I love holiday wedding celebrations. 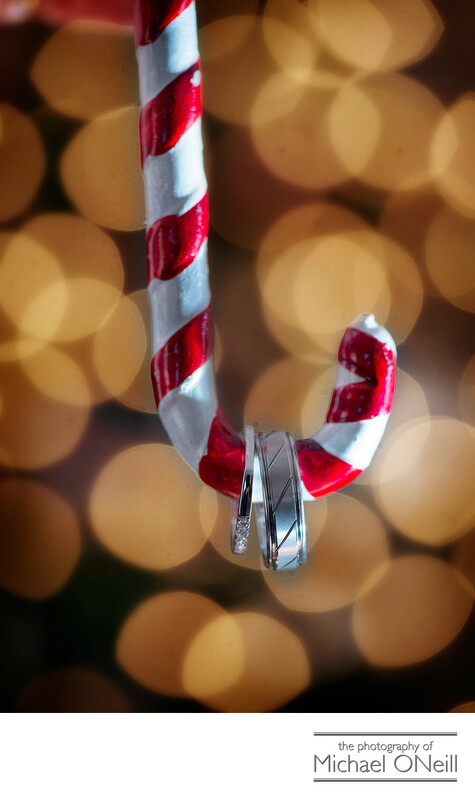 It could be a Christmas themed wedding with beautifully decorated trees, candy cane favors and holly trimmed bridal bouquets. It could be a Fourth of July wedding complete with a fireworks display prepared for the bride, the groom and their guests. I have photographed many New Year’s Eve weddings with hats, noise makers and live video feeds from Times Square as the ball drops. I have witnessed all of these types of events during my career as a Long Island and NYC wedding photographer. The most recent Christmas themed wedding I had the pleasure of photographing was at The Venetian Yacht Club in Babylon, New York. The display of multiple gold-adorned Christmas trees and holiday displays in the main entrance lobby was breathtaking. At Flowerfield Celebrations in St. James, NY I got to photograph a bride, her groom and all of their wedding guests as they enjoyed their own personal fireworks display by the renowned Grucci family on their July fourth wedding. New Years Eve brings two very special weddings to mind. One was just a couple of years ago in the Palazzo Ballroom at The Venetian in Garfield, New Jersey. Pictures from that wedding can be seen on this web site. The second, most memorable New Year’s Eve wedding I ever photographed was many years ago at "Windows on the World" atop the World Trade Center prior to 9/11. It was so amazing looking down at New York City, in full party mode, from the top floor restaurant.